On the Berkley Forum Rafael Escobedo, a Berkley Center visiting researcher, examines how in the years before the Second Vatican Council, American discussions about religious freedom and church-state relations paid close attention to the "Catholic dictatorship" of Francisco Franco in Spain. 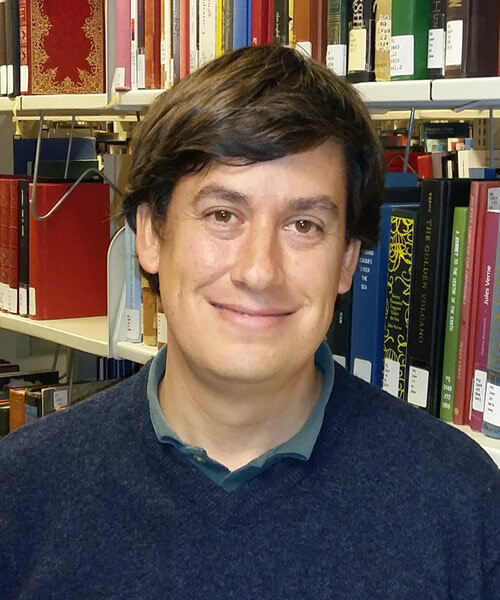 Rafael Escobedo is an associate professor of modern history at the Universidad de Navarra (Spain). He is a Berkley Center visiting researcher during the 2018-2019 academic year. Escobedo's research has focused on the attitudes and concerns of American Catholics towards Spain and Spanish Catholicism during Franco’s dictatorship (1939-1975). He has also published several papers on the role of public diplomacy in the Spanish-American relation during Franco’s rule, as well as about the situation of Spanish religious minorities. In 2015, he organized a conference in Pamplona, Spain, on religious freedom on the occasion of the fiftieth anniversary of the encyclical Dignitatis Humanae. Escobedo has been a Fulbright postdoctoral fellow at the University of Chicago, a visiting lecturer at the University of Piura (Peru), and an Erasmus exchange scholar at several European universities. Escobedo received his Ph.D. in history from the Universidad de Navarra in 2004.